THE WRITING BUDDHA - Opinions | Books | Movies: Sandeep Sharma: "You can’t criticize me over the storyline" (Interview) !!! Sandeep Sharma: "You can’t criticize me over the storyline" (Interview) !!! Sandeep Sharma has been a Blogger and Book Reviewer just like me from a long time hence I have been knowing him since his initial days. He has gone a step ahead and already published 2 of his books and currently working on his 3rd one. It was a nice interview I had with him recently regarding his 2nd book- Hey Dad! Meet My Mom, which had a very unusual plot. Let's see what he says about the plot. 1. Hello Sandeep. From being a blogger/book reviewer, you went on becoming author. How did this transformation take place? Hello Abhilash. I started blogging about 6 years back with a clear aim of becoming author in future. I think blogging is the best way to connect with your readers. 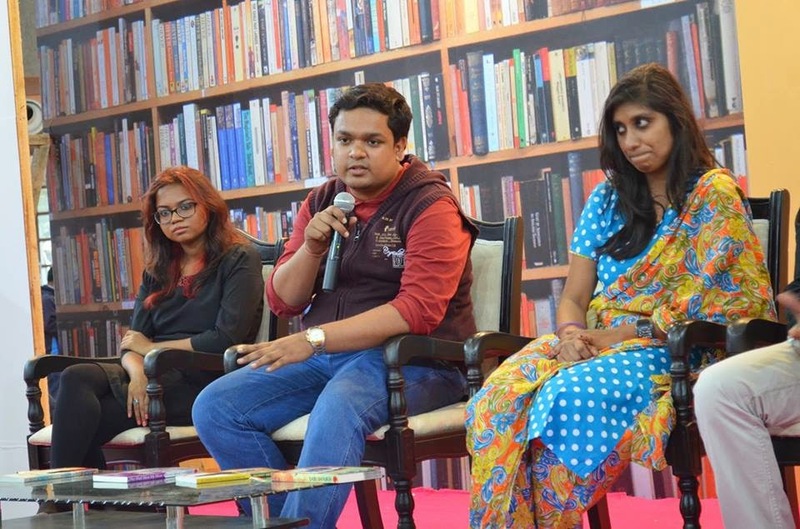 I used to write short stories and article on daily basis and that’s where members of TAB (The Author’s Blog) connected with me and then we gave birth to our venture where we initially started with creative writing, then combined it with book reviews and after that took it further towards book promotion. So the transformation was pre decided actually. 2. What difference do you find in writing blogs/reviewing books and actually writing a full- fledged book? I write for my readers. When I write for myself, I write it on my diary. When you have a clear image of writing for your audience you should be able to know what they really want to read; and that’s where writing blogs and reviewing books comes in handy. I am familiar with the change in the current readership of India. What they want to read? What they want from a story? I have researched a lot and finally when I had my story ready, I decided to pen it down. 3. Tell us something about your latest flick “Hey Dad! Meet my Mom”. How did the story formation happen? Well, it’s a funny story. I had no story in my mind when I decided to write this one; I just had the title in my mind and then I started formulating a story around it. Fortunately, I did come up with a great story (as reviewed my many) and everything fell in right place thereafter. I just had one thing in my mind that I want to write something unusual within the usual parameters. 4. Why did you opt for co-authoring? My protagonist, Puneet was meant to be read with two different mind-sets. The story needed to be written with two different aspects over the life of a same character and hence, I decided to search for co-author. And I am fortunate enough that I found a capable co-author, Leepi Agrawal. She provided life to the second half of the story. The newness in her writing got really appreciated. 5. Was it hard to write the novel having another partner working on the same story? Not at all. It actually helps to explore new dimensions. Her ideas over the storyline were brilliant and everything went on pretty smoothly. If I was the lone author of the book, I would have taken a year more to complete the book. 6. What encouraged you to write a book on such an unusual plot? People like to read unusual. I had a clear image in my mind to write something out of the box and that’s what I did. You can criticize me on my language, you can criticize me on technicalities but I am sure you can’t criticize me over the storyline. Frankly, I am not an author, I am a storyteller. I like to write unusual. 7. Is your venture, The Authors Blog, helping you in promoting and marketing your book? The Author’s Blog is the first thing which gave me an identity in this industry. I am fortunate enough that I met so many beautiful people through TAB only. Yes, we have explored it a lot and yes, we still try to expand our boundaries. Through TAB we have learnt a lot regarding book publicity and I have used it for my book too. We launched some trailers, did some extensive online publicity through various posters and one-liners before the release of the book and then reviews on the cover page; all collectively helped a lot to gain the attention of the readers. 8. What is the next topic you are writing on? Currently I am writing ‘Let the game begin!’ (Title Tentative), which is a historical thriller based on the origin of Chess in India. 9. 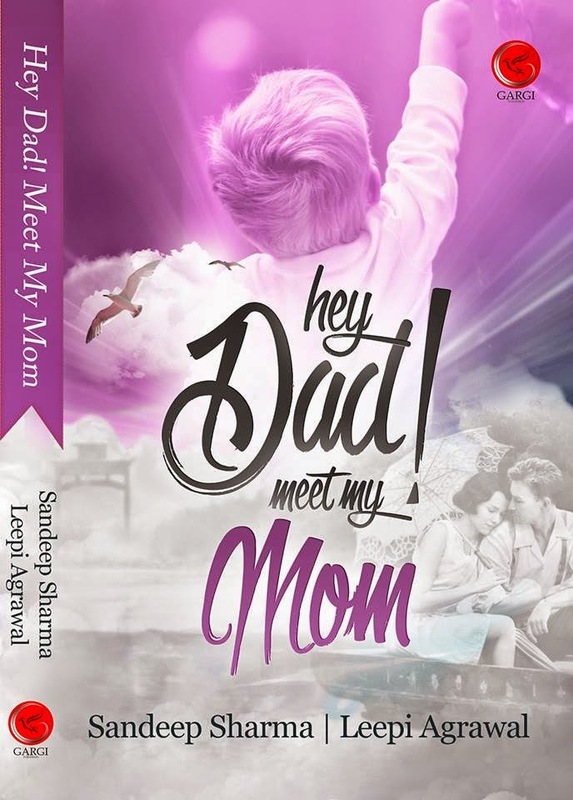 Any words for your fans who liked Hey Dad Meet My Mom? Thank you for your support and lovely feedbacks. Keep on supporting me and keep on sharing the word about HDM3. Never let this journey end. Never let the ‘Rishi’ in you, die. I love you from bottom of my heart. You are everything to me.